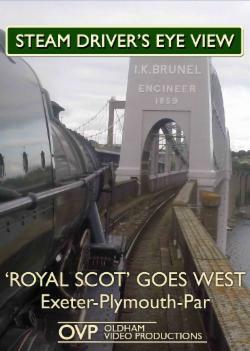 On a beautiful summer’s day, join us on this exciting journey on-board an LMS ‘Royal Scot’ Class loco as we take on the Devon & Cornish Banks. With live sound recorded from the locomotive, we bring the action right to you. This program also features commentary, titles & locations. Driver’s commentary is also featured, in which we see how to driver a steam engine on this challenging stretch of line.